China Defense Blog: Build Your Own Conspiracy Theory Of The Day: Chinese delegation right in front of a Lavi-prototype, mid 1980s. 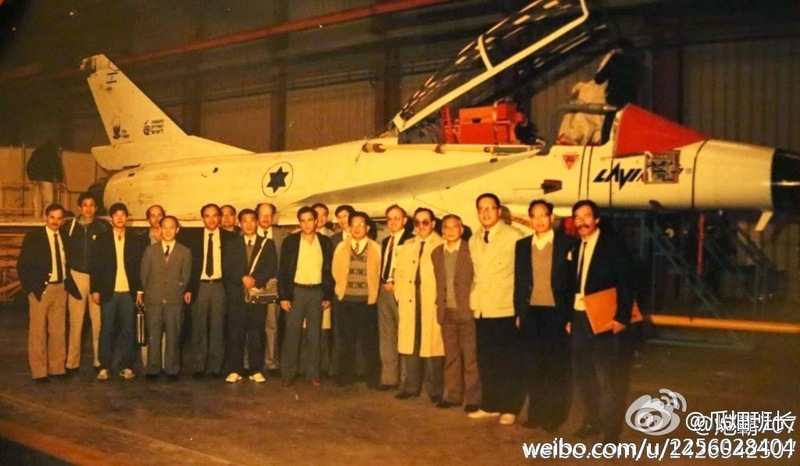 Build Your Own Conspiracy Theory Of The Day: Chinese delegation right in front of a Lavi-prototype, mid 1980s. So this pretty much confirms the origins of the J-10 Vigorous Dragon got its design from the IAI Lavi.